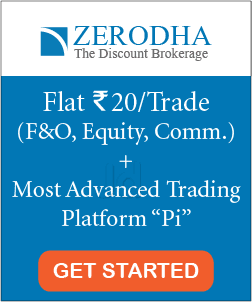 How to Monitor Your Stock Portfolio? Hola Investors. Today I am going to teach how can monitor your stock portfolio in an easy and effective way. First, let me clarify that in this post we are going to learn how to monitor the performances of the holding stock in your portfolio. We are not going to discuss how to track your profits or how much money you have made from the market. There are a number of financial websites and apps that you can use to track your profits or losses. Here we are going to discuss how to monitor the performance of the holding stocks. How is the company doing? Is the company’s performance improving or declining? This post has nothing to do with the stock price movement, but to monitor the company’s performance and growth. As creating a good stock portfolio is important, similarly, it’s equally important to monitor the performance of the holding stocks in your portfolio. Until you are involved in Intraday trading, checking the stock price daily won’t help you much. It’s a lot easier and stress-free if you do not check the prices of your stocks daily. The stock market is dynamic and the stock prices change every second. And hence, there is again no use to check your net profit/loss daily. If too much involvement is wrong, in the same way, extra ignorance towards your stocks is also bad. Do not trust blindly on your holding companies. ‘Buy and hold’ strategy has few loopholes and you need to monitor even your best performing stock. If there is a drastic rise/fall in the price of any of your holding stock, then you need to investigate the reason behind it. Now that you have understood the quick tips, lets us study how to monitor your stock portfolio. Keep updated with the latest happenings of the company and the industry. There are a number of factors that can affect the company which can be both domestic (government norms, taxes, duties etc) and international (Currency exchange rates, crude oil, war scenarios etc). To keep updated with the news you can set google alerts for the companies in your portfolio. All the news related to the company will be directly sent to your email inbox. Learn how to set google alerts here. Further, you can also read important news on few financial websites like money control and screener if you create your portfolio on it. These sites will notify you about the news regarding the company. Every company in India releases its results quarterly i.e. 4 times in a year. Typically, a company releases its results within 45 days after the end of every quarter (March/June/September/December). Study the quarterly results of the company in your portfolio. If the results are good, then enjoy. However, if the result is bad, then do not get influenced by the loss of the company in just one quarter. In any business, there will be losses sometimes. What matters is the consistency. Nevertheless, if the company is continuously giving bad results, then you need to reconsider about the stock. Company’s annual reports are the best way to evaluate its performance. Using the annual reports, you can compare the company’s performance with its past to check its growth. You can also read the company’s future plans and strategy in the annual result. Also read: How to do Fundamental Analysis on Stocks? Read the corporate announcements to remain updated with corporate actions of the company like new acquisition, merger, appointment or resignation of senior management etc. This information can also be found on the company’s website. You also need to check the shareholding pattern of the company, mainly the promoters shareholdings. An increase in the shares of the promoters is a healthy sign. Promoters are the owners of the company and they have the best knowledge of the company. If they are confident about its future growth, they are usually correct. However, if the shareholding of the promoters is continuously declining, then it’s a bad sign. Investigate further why the promoters are selling their stake. Besides, do not get afraid if mutual funds, FII, DII are buying/selling the stocks. They buy the stocks on the availability of funds. 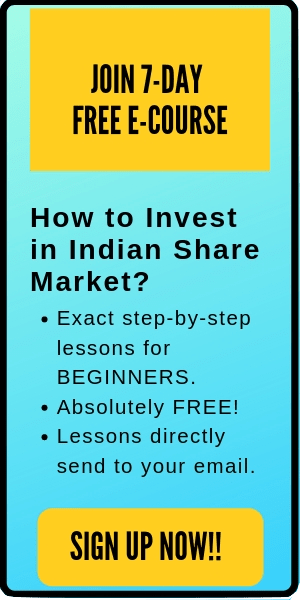 Related post: 7 Must Know Websites for Indian Stock Market Investors. Promoters pledge of share is always a sign of caution. If the pledging is continuously increasing, then be aware. You can check the promoter’s pledge of share on the company’s website. Although it takes few efforts and time to continuously monitor the stocks in your portfolio, however, it’s worthwhile doing it. Nevertheless, if you have less number of stocks in your portfolio, say 8-10, then it won’t take much time to monitor your portfolio. Moreover, the Google alerts and mobile app notifications have made the life of investor lot easier. You can read most of the news and information on your mobile without much effort now. If you are new to investing and want to learn stock market from scratch, here’s an amazing course for the beginners: INVESTING IN STOCKS- THE COMPLETE COURSE FOR BEGINNERS. That’s all. I hope this post on how to track your stock portfolio is useful to the readers. If you have any doubts, do comment below. I reply every one of them.